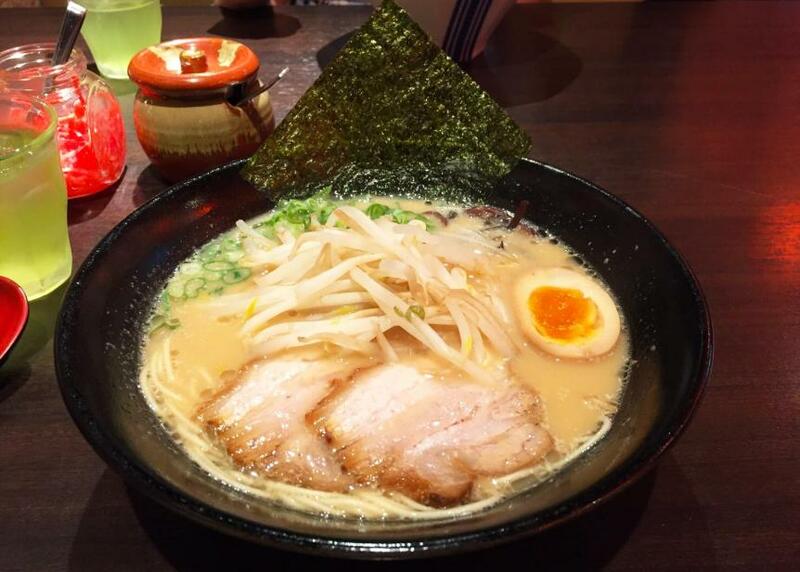 Ramen is one of Japan’s most popular dishes. 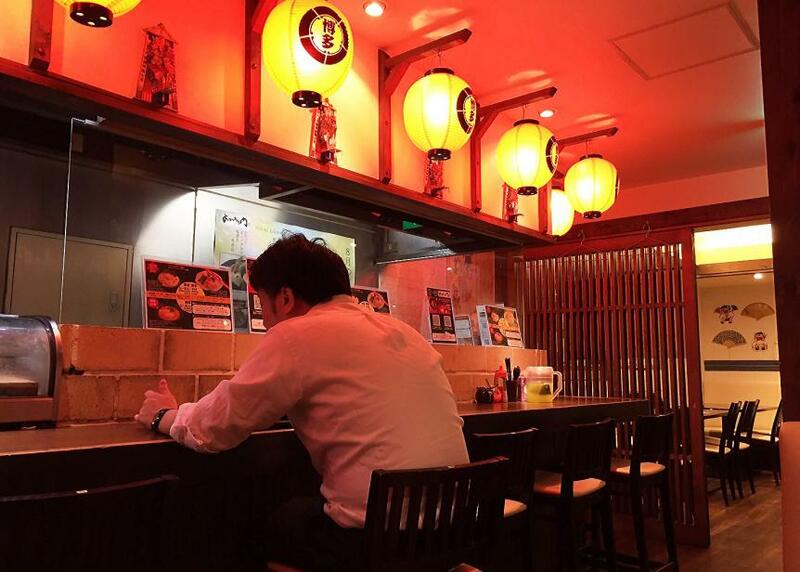 Many salary men have a bowl of ramen after work in one of Tokyo’s many ramen joints. It’s quick, cheap and tasty! 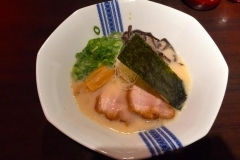 So when you are on a Working Holiday in Japan, working in a ramen shop is a great way to really dive into the Japanese experience. We spoke with Ahmed I. 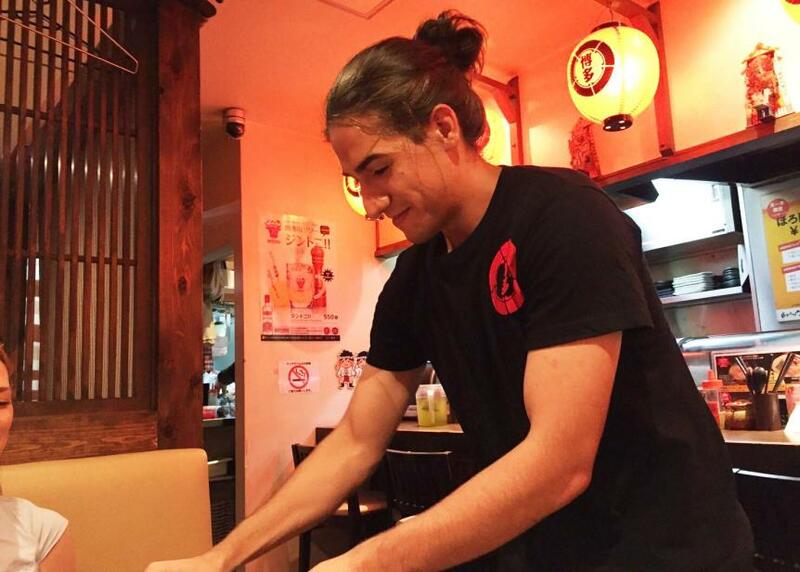 (20, from Hamburg in Germany) about his job at a ramen restaurant. Ahmed, could you tell us what a typical work day at a ramen restaurant is like? My work starts in the morning at 9.00am, and because it takes over half an hour to get there by metro I have to wake up quite early. Every morning I start with cleaning. After that I prepare everything in the kitchen before the first guests come, like refilling the green tea cans, putting them on the counter and setting the tables. When the guests come to the restaurant I welcome them with the words “irasshaimase“(be welcome). I then take their orders and serve them their dishes with the words “omatase shimashita” (sorry that you had to wait). It is especially important to speak in a very polite way to the customers. What is demanding about the job? The whole staff consists of only Japanese co-workers, so the communication is not always easy for me. Another thing I had some difficulties with was “to speak loudly”. Every time I got in contact with our customers, I was anxious to speak with a clear and strong voice. This was a very big problem for me in the beginning. Coming out of your shell is not always easy. Which language requirements come with the job? It is very important that you can speak basic Japanese and of course some English as well. All the people who are working here are Japanese, so this is why it is essential to speak at least a little bit of their language so you can communicate. Of course, you must be willing to improve your language skills fast and try to understand things quickly. 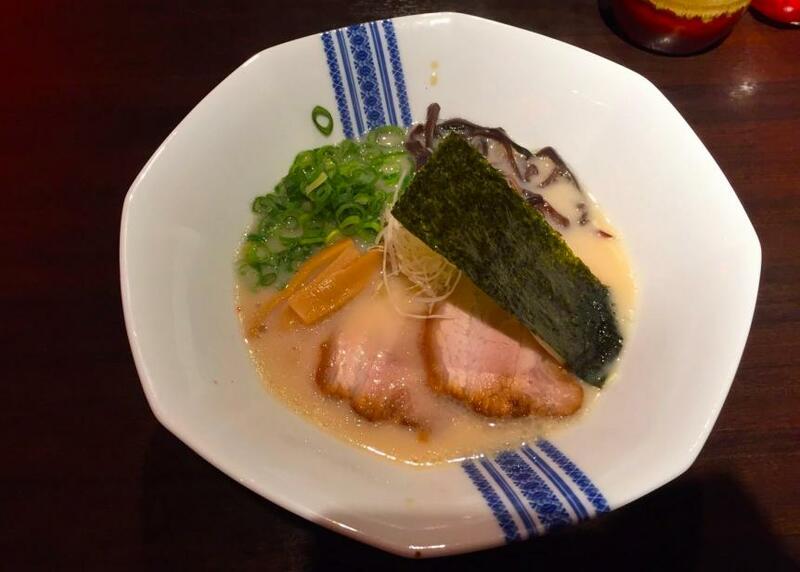 Do you enjoy working at the ramen restaurant and is there something you don’t like about it? I have to say that it is a really nice job. 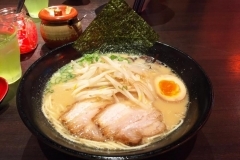 The other staff members are very friendly and I get a small bowl of ramen for free at lunchtime every day, which I enjoy a lot. On the other hand it is sometimes a bit difficult to communicate with people because they speak Japanese fast, which is still hard for me to understand. Another negative aspect would be the short breaks. They sort of expect you to continue to work after only around a 10-minute break. How much money are you earning and is it enough to cover your living expenses? 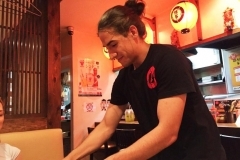 I earn 1,000 Yen per hour, which is around €8. I had to adjust my lifestyle (I’m living in a share house) and save some money in order to let that be enough to live in Tokyo. I’m working here for 4 months now and got used to it. I talked to a friend at the share house who was already working there and he strongly recommended me to apply. He was quite satisfied with the job, so I thought it would be a good idea for me as well. Did you make any special memories which you will never forget? Yes, I had a great moment when my boss came to me one day and told me that I could design the menu. I really love digital photography, so it was a very gratifying task to take pictures of all the dishes and create the menu. 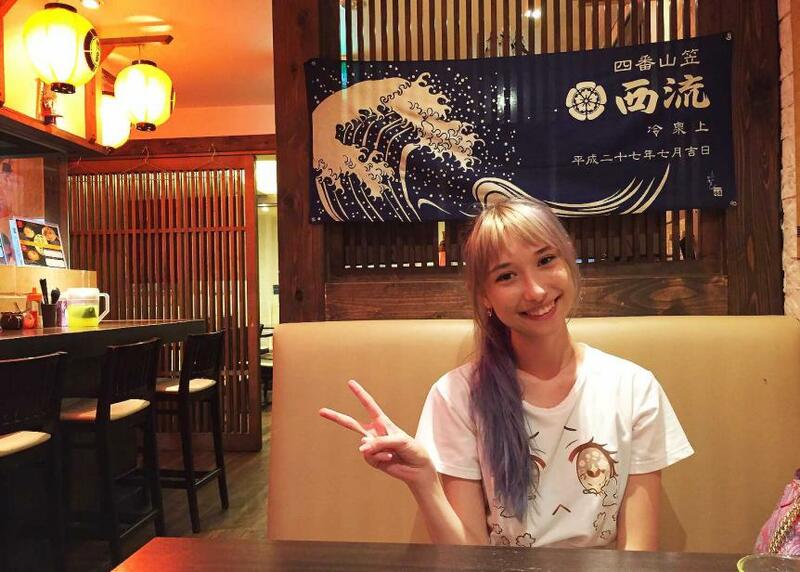 Do you think working at the ramen restaurant improved your Japanese? Well, of course it improved my Japanese because I had to learn new words to speak properly to the customers and communicate with my co-workers. But I have to say that I could not improve as much as I would have liked to because people are very busy at their workplace and didn’t have time to explain everything. This can’t be helped and I hope I will keep on improving. What are you doing besides working? I like non-touristy places very much. 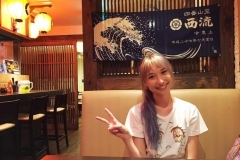 Often I would visit some nice spots in Tokyo, meet friends and go with them on hiking tours and day trips. 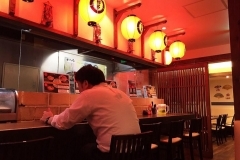 I also like the bars in Japan, which I sometimes visit on the weekend. I have always felt a deep connection with Japan. The pop culture, traditional culture and the everyday life caught my interest so I decided to go there and experience it for myself. Oh yes! People should go out and do something exciting with their life. Traveling to different countries, meeting new people and discovering new places are all amazing opportunities to gain new experiences! Japan is beautiful and I would strongly recommend people to go there.